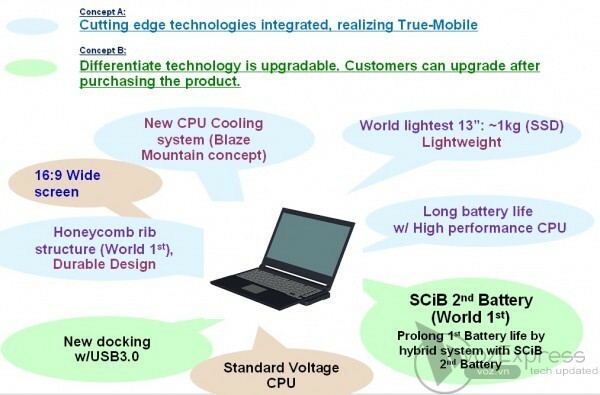 Toshiba building world's lightest 13-inch laptop with fast charging SCiB battery? Toshiba has a long history of making highly desirable ultraportables. Now, if today's rumor pans out, it seem set to bust out another in the form of the world's lightest (less than 1Kg with SSD) 13 incher. Besides sporting a 16:9 aspect ratio, USB 3.0 dock, and standard voltage CPU (a Core i5 is teased), this slim lappie features a 2nd SCiB (Super Charged ion Battery) power source that we've seen charging to 90% in just 10 minutes in prototypes from way back in 2008. No idea what "Blaze Mountain" cooling is... but we want it, assuming this is anything more than a prototype. Ah hell, we want it anyway. Check the illustration after the break. Update: New details just came in: available in Core i3, i5, or i7-620 configurations with 4GB of memory, 500GB hard disk or optional 512GB SSD. 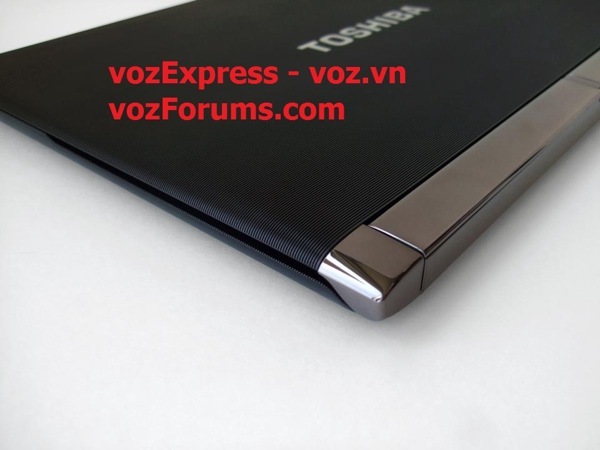 And after talking to vozExpress, we have every reason to believe that Toshiba will be making this official in short order. New pic with Toshiba branding added after the break.